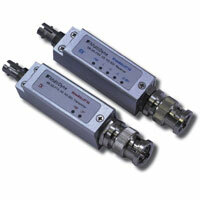 MultiDyne FiberSaver - Fiber Group Inc.
Increase Signal Capacity Without Installing More Fiber-Optic Cables. 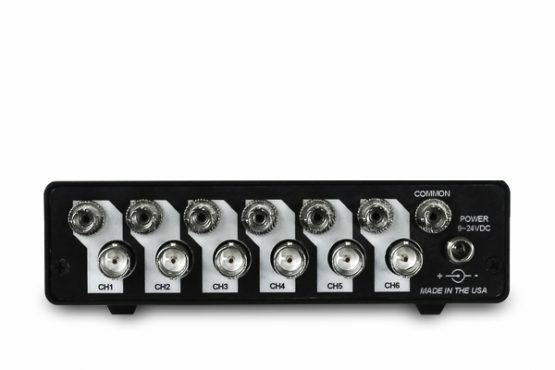 The MultiDyne FiberSaver is an innovative solution for combining as many as 18 HD–SDI feeds, or optical signals of any wavelength onto one single–mode fiber. Mobile trucks, OB vans and facility managers can now offer expanded video and audio capacity when hosting major events without having to deal with additional fiber cabling and the associated costs. The MultiDyne FiberSaver transport accepts SDI video signals ranging from 270Mbs up to 3Gbs and converts them into optical signals. 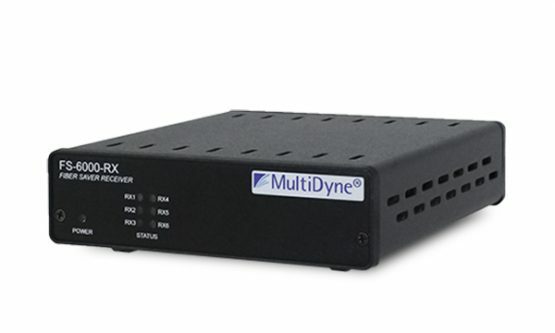 The MultiDyne FiberSaver has the capacity to handle any combination up to 18 existing transmitter/receiver or new copper HD–SDI feeds that are then combined and sent over just one single–mode fiber. Consider the system expansion capability offered by the MultiDyne FiberSaver; an 18–strand fiber cable could now provide enough capacity for 17 new feeds in addition to the signals handled by the MultiDyne FiberSaver that uses only one strand from the 18–strand cable. 3 x 3 Ch. 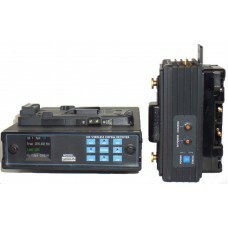 FiberSaver Transceiver/Remapper, 1 fiber HUT-MUX: Optimized for the SMPTE HUT, 3 inputs & 3 outputs (BNC or optical) over 1 fiber. 6 x 6 Ch. 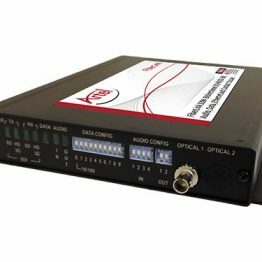 FiberSaver Transceiver/Remapper, 1 fiber HUT-MUX: Optimized for the SMPTE HUT, 6 inputs & 6 outputs (BNC or optical) over 1 fiber. 9 x 9 Ch. FiberSaver Transceiver/Remapper, 1 fiber HUT-MUX: Optimized for the SMPTE HUT, 9 inputs & 9 outputs (BNC or optical) over 1 fiber.